Sara Dietzel is a licensed Marriage and Family Therapist and a Certified EMDR clinician, Consultant, and a Facilitator with the Parnell Institute. 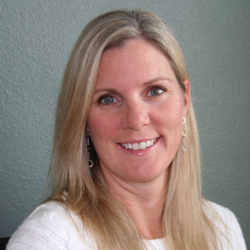 Sara has been utilizing EMDR in her private practice since 2007. She is a former instructor in the graduate counseling program at St. Mary’s College and has many years of experience supervising Interns. She works with single incident traumas as well as complex trauma with a speciality in Attachment Focused EMDR. She has also created a program titled “Thoughtful Schools” where she educates teachers about trauma, communication skills, and Resource Tapping for the teachers to utilize with their students. Sara is passionate about the healing power of EMDR and integrates it with other modalities including integrating EMDR into her work with couples. She is very enthusiastic about facilitation and consulting with clinicians that are training or seeking certification in EMDR, or just wanting to expand and fine tune their use of EMDR.